Contact our office if you would like to join one of our departments or ministries. Also; why not spend a couple of minutes reading about our various ministries below. 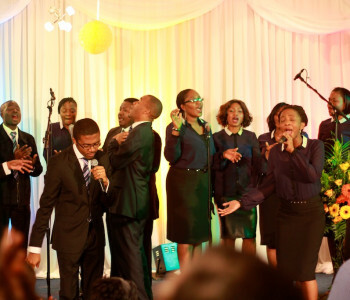 The Branch of Jesse (BOJ) is the music ministry at Croydon Tabernacle, with spirit-filled individuals who are committed to declaring the worship of Almighty God to all.They have been given the mandate to minister to God and his people with their talents and skills, via their voice and on their musical instruments. Branch Of Jesse recently embarked on a flagship Project – “Project BOJ” – A night of praise of worship with the theme “God Great God”. This was held Saturday 8th September 2012 and testimonies still abound on the experience of God’s glory on its fullness. Childhood is a time of incredibly rapid learning, vivid imagination and intrigue about life.This is why we teach children about God and guiding their curiosity in the right direction. This is done in an exciting, loving and friendly manner involving music, drama, memorising Biblical verses and competitions.We strive to use our teaching style as a tool of motivation and discovering talents among the children. Children Sunday School Unit. This unit is responsible for teaching and training children in the church. For more information about the unit and if you would like to join, please download the Guidelines for the Children Sunday School Unit. The role of men in the body of Christ and the family is not only crucial but their leadership is critical to both. The Daniel Generation aims to develop the men in line with Daniel’s leadership, thirst for God and His will, being used as a man of influence in the Kingdom of God. Prayer meetings are held once a month. The role of women in the family, the ministry and the community has been crucial to the success of these units through the ages. At Croydon Tabernacle, we aim to build our women to be strong prayer warriors and passionate about their family, career and surroundings. This is a reach out medium to assist the needy and give a hand to help provide essentials, such as food, clothing and rest on the early hours of every Sunday. This is then followed up with a church service of praise and worship and a sermon by the Pastor. The doors of The Heart of Compassion is open to all and sundry during the hours of 08:00am – 09:00am every Sunday. The prayer ministry is the spiritual engine of the church – worship, intercession and petitioning. The Prayer Team of the Church is known as the Gatekeepers. Their meetings are held on Tuesdays and prayer requests should be submitted to the Team Leader, via the church Office. Their mission is to support brethren through challenges and to build their trust in God, through answered prayers. Testimonies abound continually from the prayers offered. Flames of Fire is the Singles ministry which seeks to facilitate an enjoyable and godly lifestyle for the singles of the Church. It creates an avenue for all singles to come together to have fun, explore the Word of God and enjoy life to the maximum in God’s intended way before moving on to the next level in life. The youths at Croydon Tabernacle are a bunch of young, fun-loving Christians. Through various fun-packed activities such as ice-skating, ten-pin bowling, football, theme park visits and going to the movies, the youngsters have broken barriers of stereotypes and reached fellow youth with Christ’s love.